I have a constant tea-situation happening in my house. It's no joke. 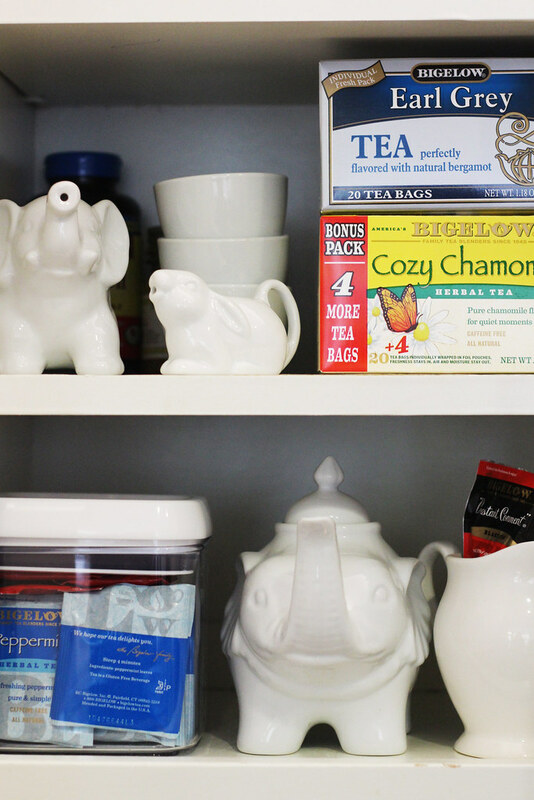 We have an overflowing tea cabinet that refuses to be controlled by reason or organization. This is mainly due to Ben's tea-hording skills, our inability to ever finish a box of tea unless it's a favorite, and yet our inability to stop buying fun new teas. It should probably go down in history as a famous #firstworldproblem. 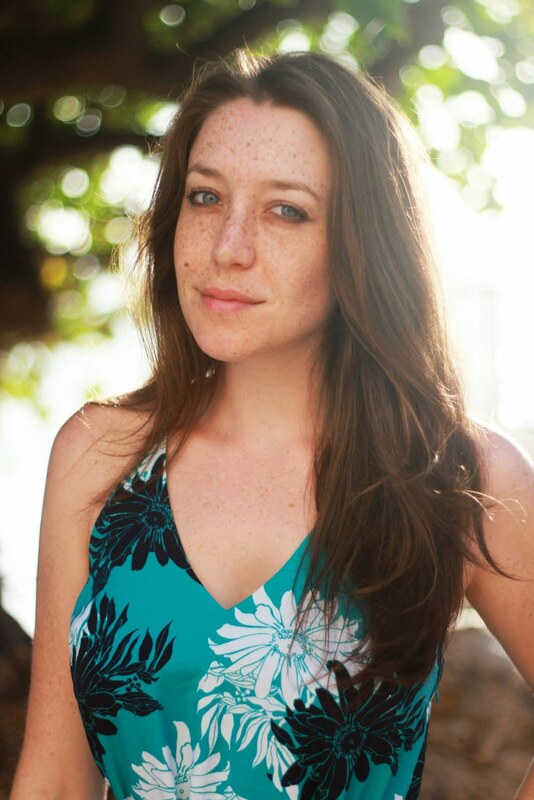 Whenever spring rolls around the entire world seems to be abloom, the sidewalks wet and covered with clean petals, the grass poking through the entire city in happy greenness, I get the urge to throw everything away and let newness into my house. 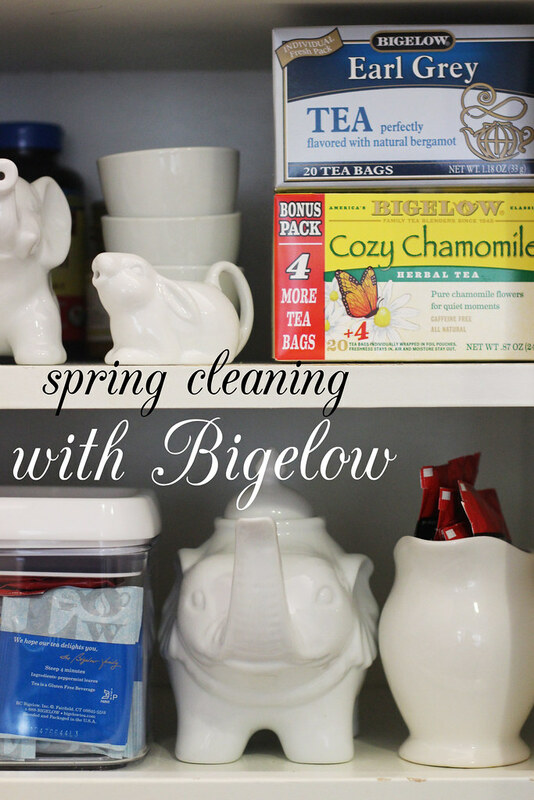 It's that spring cleaning bug that we all know, and that we all rarely follow through on. But, getting home from a long day and faced with a house that doesn't look awful (and a tea cabinet that's easily closed and hidden behind cabinet doors), I lose my motivation to do the much-needed cleaning. Sunday night of this weekend, though, we bought new tea. 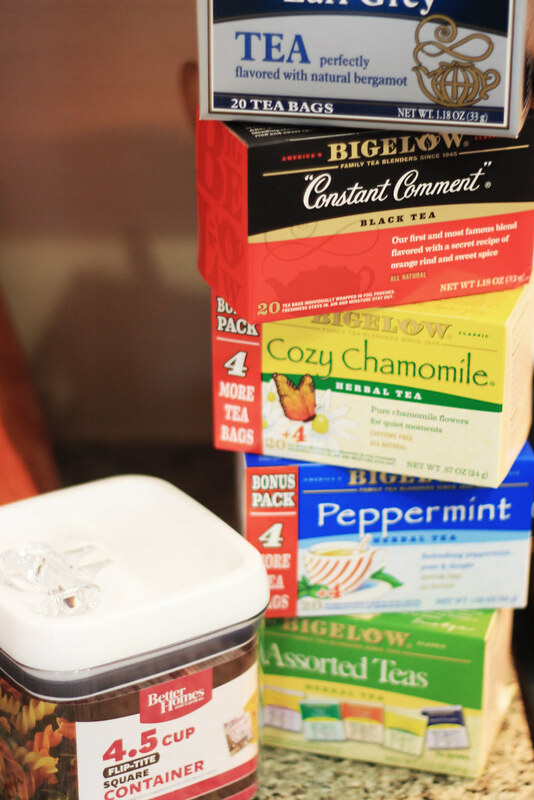 Some delicious staples that we like to have around for the week, all from Walmart and all Bigelow teas (they just taste classic - no fuss and tons of flavor and perfect with milk and sugar, not to mention Bigelow is a family-owned company for more than three generations!) - some Earl Grey, black tea, Cozy Chamomile for sleepless nights, peppermint to settle stomaches, and an assortment for those rainy Sundays spend on the couch. And then our tea situation had to be addressed. So spring cleaning it was. I bought a new tea holder that keeps tea fresh and contained. 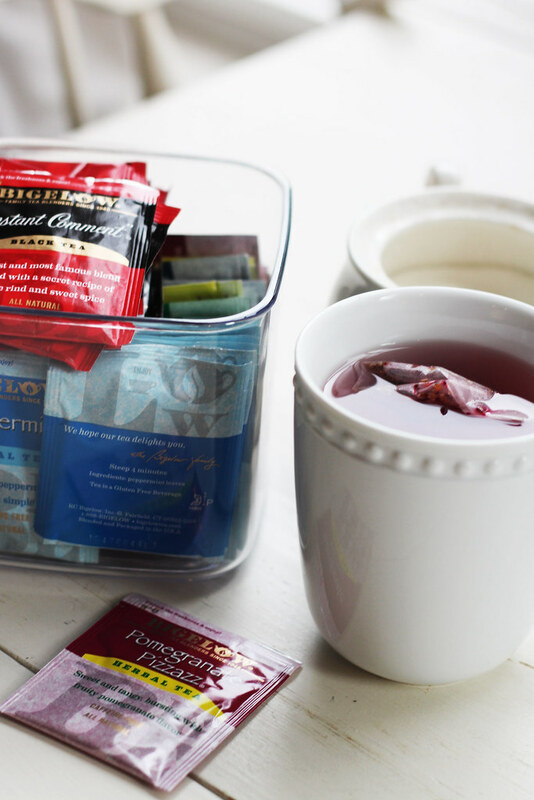 I find that the boxes that hold the tea take up way too much room in a tiny cabinet and the foil pouches that keep tea fresh can be crammed into a container to save room! I love that this, clear container can show me my tea selection without even being pulled out. Hello choices that are easily viewable. I went to town on my tea cabinet, organizing the boxes of often accessed tea in the top cupboard shelf along with our porcelain creamers and mini teacups. In the lower cabinet I'm keeping the pretty tupperware container, now full of yummy tea, and some quick pouches of black tea for Ben to use on-the-go in an extra creamer pot that we're not using. Don't forget the teapot that makes my life better every single day - this elephant is really the prettiest item I own and I love being able to see it staring out at me when I reach for tea. Where did you get the elephant tea pot?? It is adorable! 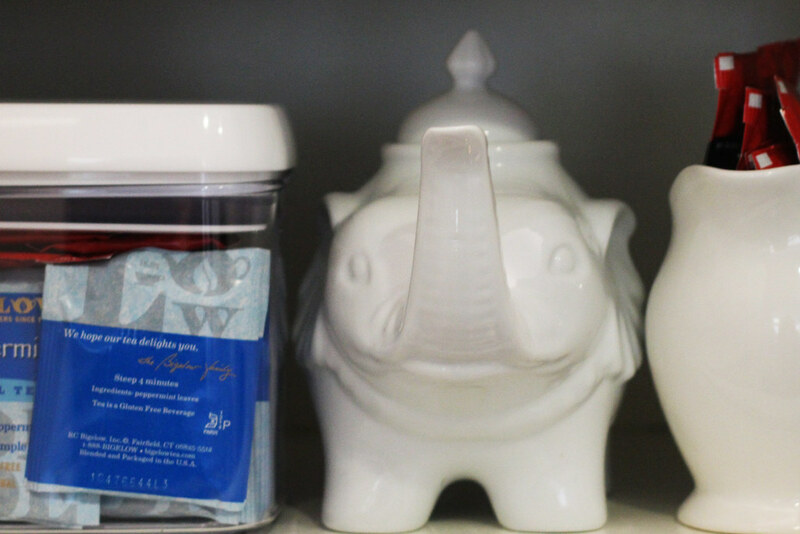 ohhh my gosh--that elephant tea pot is sooo adorable! I LOVE that tea brand. 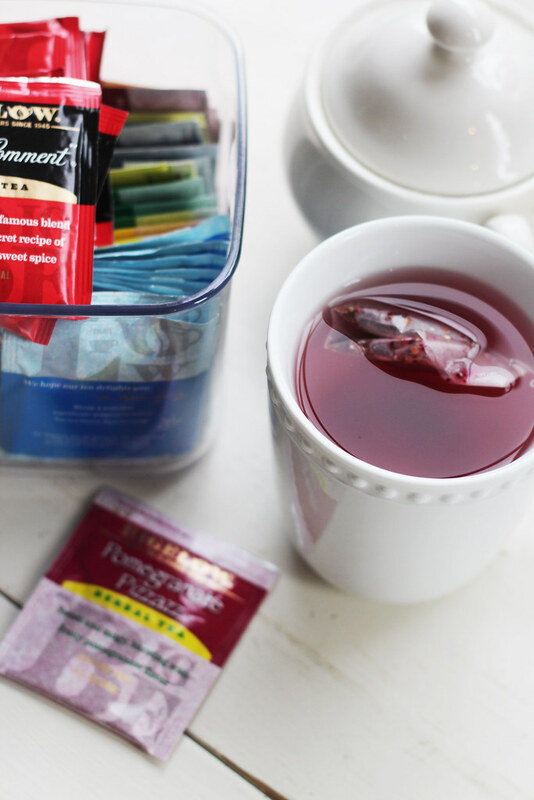 I'm not a huge tea fanatic but I totally always reach for them! love your cute white dishes! such fun animals! 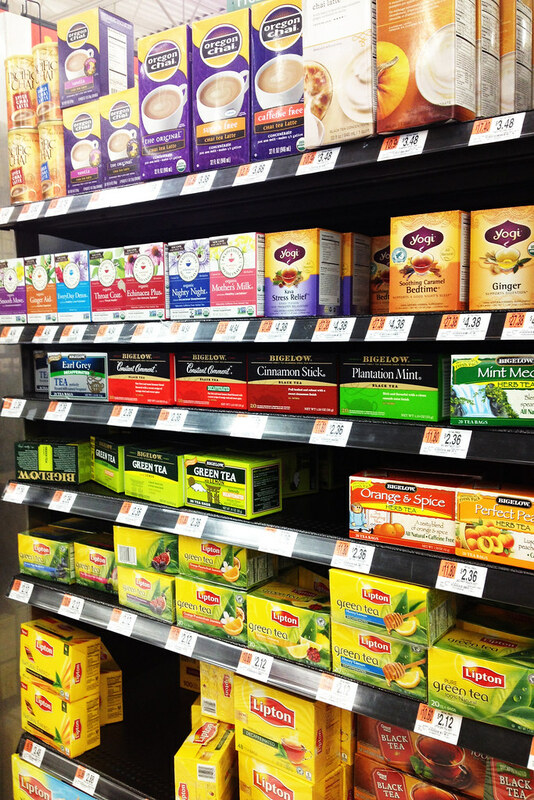 i love how they have soo many teas!! It is a very good quality tea brand. Lot of people like it including me. I have the same problem! Before Christmas, tea was on for a really great price, so we stocked up and bought 12 huge boxes; they are stored randomly throughout the house now. But having 2-3 cups a day will quickly put a dent in that pile! This is a great option for storing tea....I would especially love seeing it through the clear container. The foil pouches of Bigelow really do make it easier to store them in other containers easily. Such a cute teapot too! !